The Scanpan Professional 8 inch non-stick fry pan is great for single portion cooking. When you want to fry one egg or a chicken breast, this non-stick frypan from Scan pan is the right choice. The sloped slides of this skillet are designed to make it easy for you to get a spatula under your food to flip or remove it, without making a mess. Scanpan pots and pans are made with 100% recycled aluminum and crafted in Denmark. 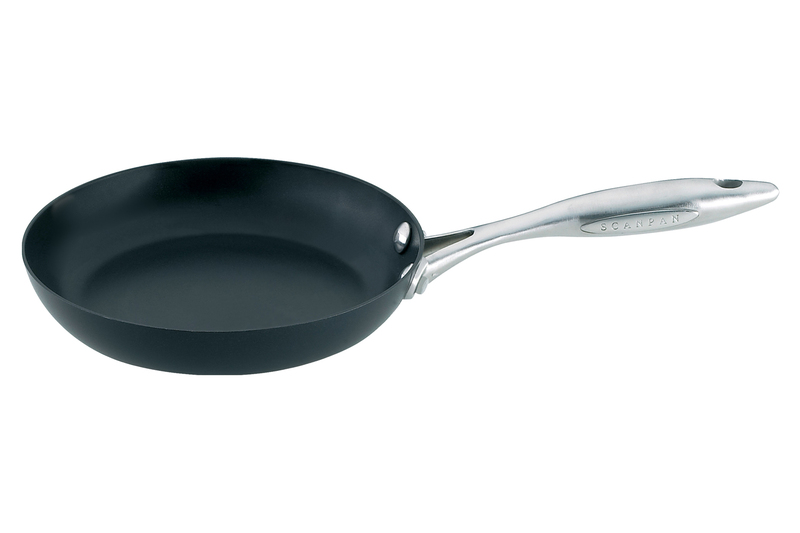 You'll appreciate the great cooking performance and easy clean up of this Scanpan professional fry pan. Scanpan has even heat and no "hot spots." Feel free to use metal utensils and your Scan pan cookware won't scratch. Scan pan is dishwasher safe. Its nonstick surface cleans easily by hand as well. Scanpan cookware is made from 100% recycled aluminum and is PFOA free. Scanpan professional cookware comes with a lifetime guarantee.